TME offer has been enriched with high capacity linear power supplies from the company TWINTEX. They offer the ability to set the voltage up to 60V and current up to 20A (depending on model). 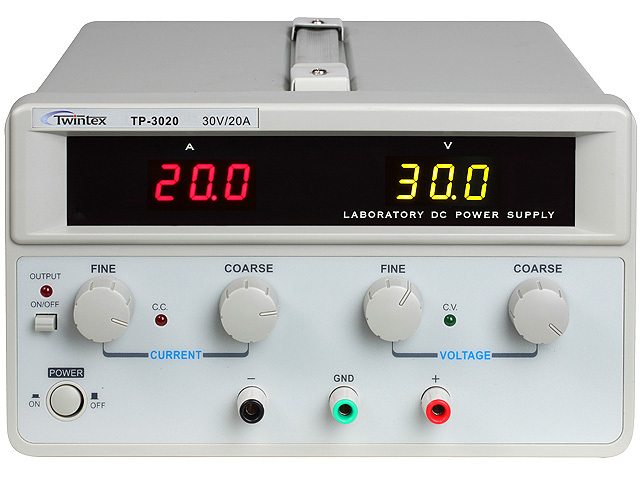 The power supplies are also equipped with a series of security features: over-current limiters, temperature (TP-3020, TP-6010) and reverse polarity protection. Thanks to two bright LED displays you can simultaneously read the value of set voltage and current.